Click on the Photo above to see the QUALITY! 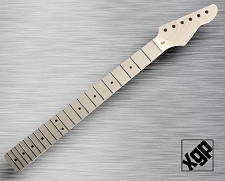 XGP- eXcellence in Guitar Parts. 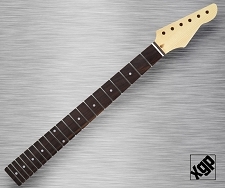 This is the best neck we sell, and one of the nicest necks available anywhere. 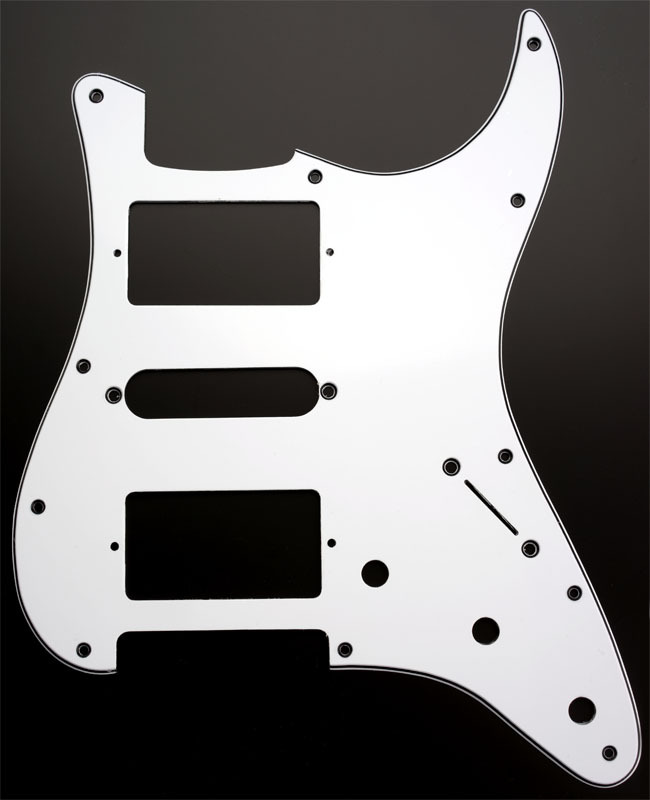 Look- It takes some elbow grease to build a guitar from scratch- so why not have a TRULY custom product that you can be proud of? 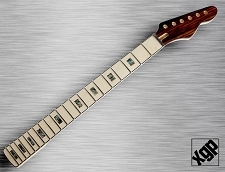 This is a solid Canadian Hard Rock Maple neck with an Indian Rosewood fingerboard, Large fancy Mother of Pearl Block Inlays, completely bound in vintage white binding. 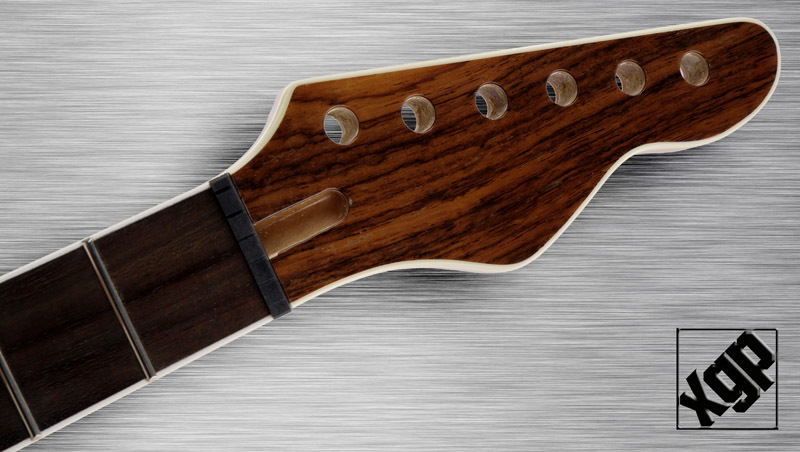 The headstock is tilted back to give you perfect down pressure at the nut- no string trees. 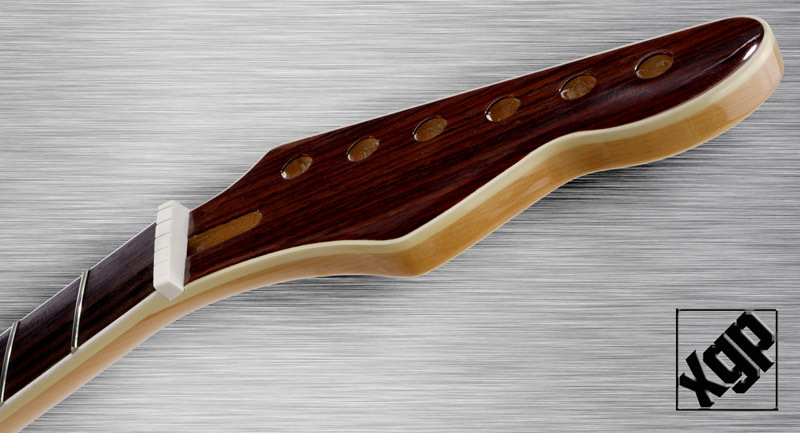 We've capped the headstock with spectacular Bolivian Rosewood, and bound it for a custom look. DO NOT pay $300 for a neck of this quality- XGP parts are sold at wholesale, you pay under $100! 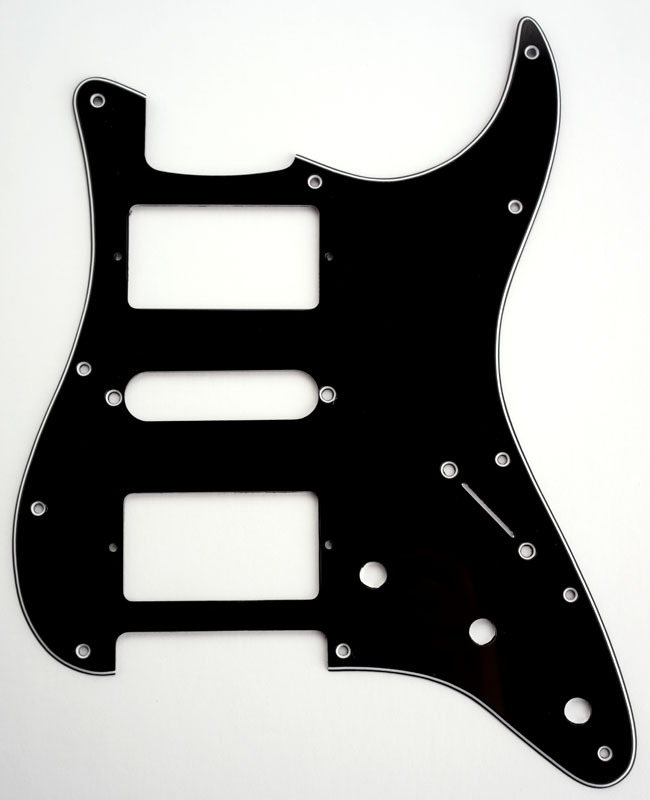 This neck fits all of our XGP Tele bodies and should fit ALL standard vintage spec Tele Style bodies including genuine Fender bodies. 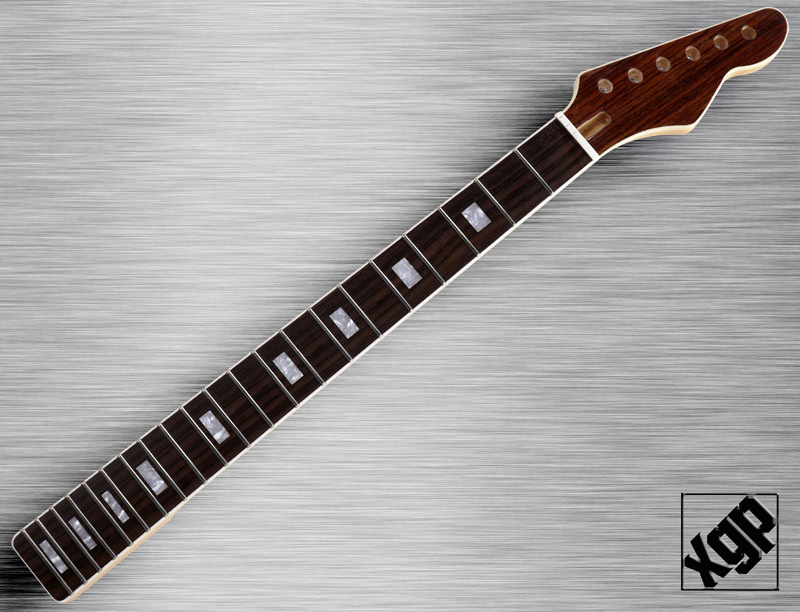 This is vintage spec 21 fret,12" radius, clear gloss finish and standard 2 3/16" wide neck heel. 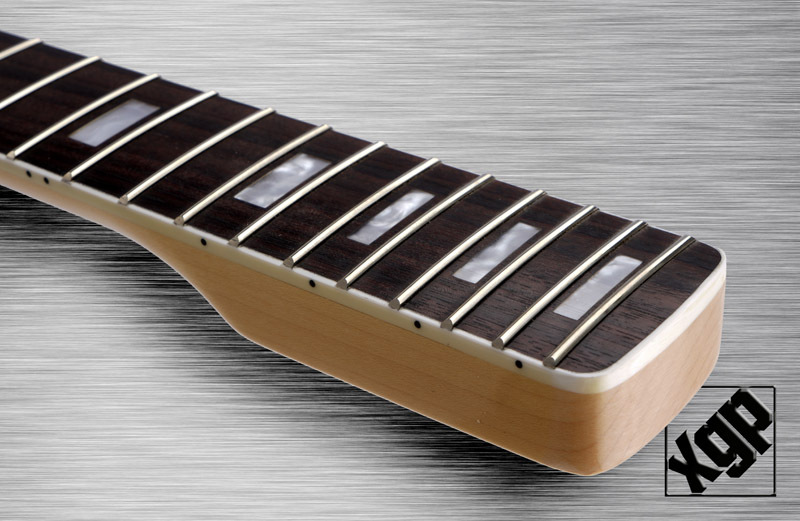 The bi-flex stainless steel truss rod is accessible at the neck, and the headstock is cut for all 10mm Gotoh/Grover style tuners, but may very easily be used with our conversion bushings for 9mm Klusons. 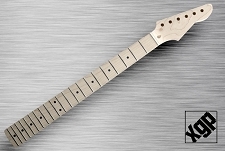 Each neck is equipped with nice Medium Jumbo fret wire- which measures .036" tall and .106" wide and is forged from 18% nickel/silver hard alloy. 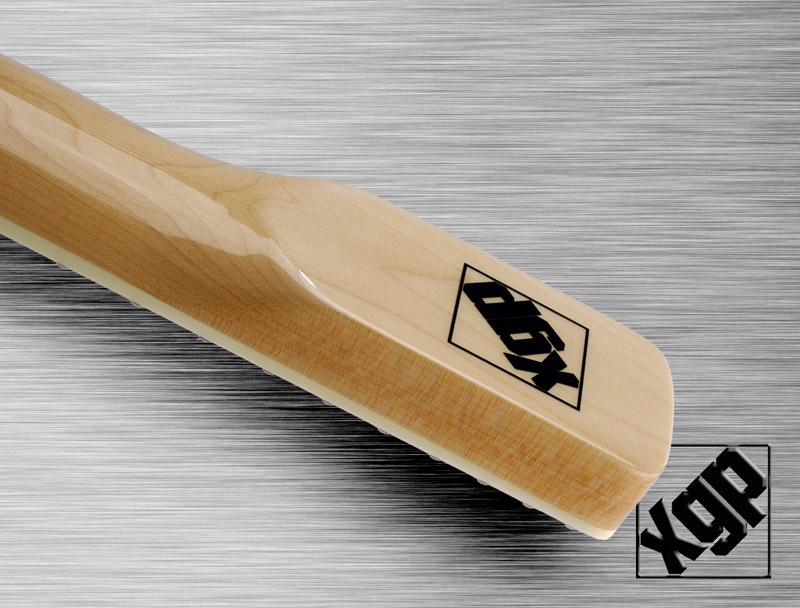 This is a premium quality neck with a pre-slotted low friction polycarbonate nut. This is a ridiculous value for a neck of this quality! 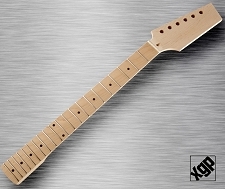 XGP Professional Tele® Style Neck Rosewood Fingerboard NO FINISH!